The presidential election will be held in July, when President Pranab Mukherjee's term ends. Mamata Banerjee will share the responsibility of getting as many opposition parties as possible on board. 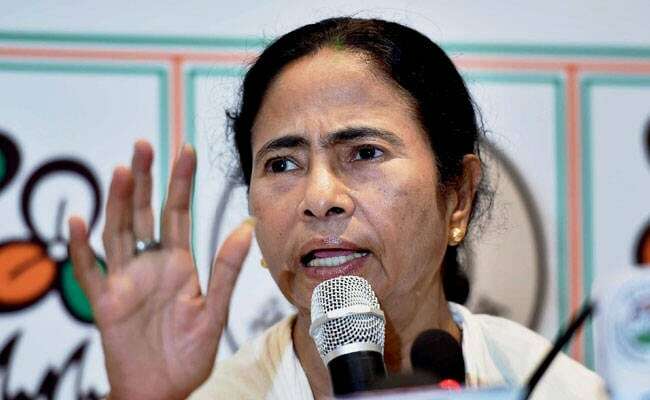 West Bengal Chief Minister Mamata Banerjee will be back in Delhi next week for a meeting of several opposition parties to decide on who they will field for President against the BJP-led National Democratic Alliance's nominee. But they are unlikely to make an announcement till the NDA names its candidate in a 'Pehle Aap' or you first strategy. "We are expecting a cross section of parties, including the National Conference, the DMK and even Naveen Patnaik of the BJD," an opposition leader said, adding, "even the Shiv Sena may show up, who knows." The Shiv Sena is an ally of the BJP, but voted against their alliance's candidates in the last two presidential elections. Ms Banerjee, who met Congress President Sonia Gandhi in the national capital this week, will share with the Congress the responsibility of getting as many opposition parties as possible on board. So far opposition leaders have met each other, with Sonia Gandhi taking a lead on a joint candidate and holding discussions with the Left's Sitaram Yechury, Bihar Chief Minister Nitish Kumar and Ms Banerjee. Mrs Gandhi also phoned RJD chief Lalu Yadav who has given her carte blanche to choose candidate. Ms Banerjee's new role is key. She can talk to parties that the Congress will find difficult to approach like Delhi Chief Minister Arvind Kejriwal's Aam Aadmi Party. Ms Banerjee met Mr Kejriwal during her Delhi visit and discussed the presidential election. "The Congress can talk to the CPI and CPM much more easily than the Trinamool. On the other hand, Trinamool has easier access to Mayawatiji than the Congress does," the leader explained. Former union minister and Nationalist Congress Party chief Sharad Pawar rejecting Sonia Gandhi's offer to be a joint opposition's candidate and other names doing the rounds are those former Lok Sabha Speaker Meira Kumar and Gopalkrishna Gandhi, who is a former diplomat and Mahatama Gandhi's grandson. But the opposition, leaders said, has other aces up its sleeve. Next Thursday's meeting may only be the first of many multi-party discussions. Top Opposition leaders will also meet in Chennai on June 3 on DMK chief M Karunanidhi's 93rd birthday. His son MK Stalin is expected to take over as party chief. The presidential election will be held in July, when President Pranab Mukherjee's term ends. The NDA has a fraction less than the votes it needs to put its candidate in the Rashtrpati Bhawan. It hopes for the support of parties like the BJD and AIADMK. The opposition doesn't seem to have the numbers, but its initiative to field a joint candidate is seen as testing ground for an alliance to take on the BJP in the 2019 general election when PM Modi will seek a second term.